This unique system offers the strength and durability of galvanized steel with the productivity associated with light alloy systems. The system was designed with the user in mind for general industrial, commercial and residential construction, as well as for bridges and other steel structure applications. It offers solutions for all types of scaffolding requirements, from light to heavy duty access, and various falsework applications – outdoors or indoors. The only tools required for assembly are a hammer and level! Undoubtedly the fastest steel scaffold system available with production output recorded as the Official World Record*. A fully hot-dipped galvanized system offering all the well-recognized benefits of this treatment method. Significant reductions in total required components, resulting in savings in storage, handling and transportation. 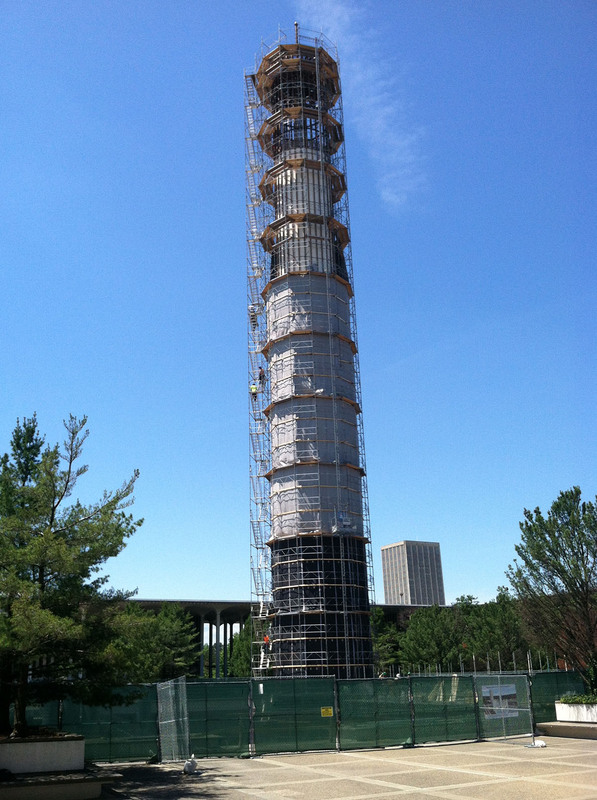 Our Scaffolding has several unique safety features that benefit the system’s erectors, users and project inspectors. 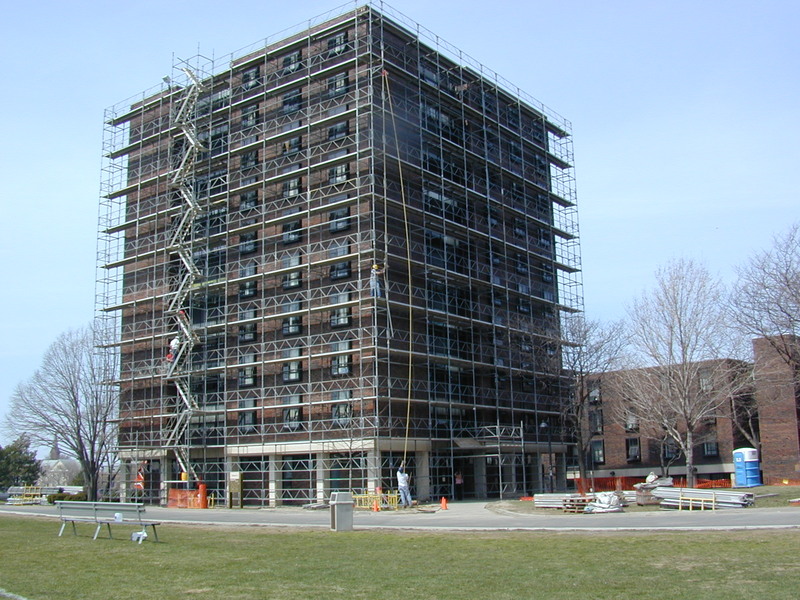 With eight completely variable component node points and the largest available bay sizes, Our Scaffolding offers the most flexible system. 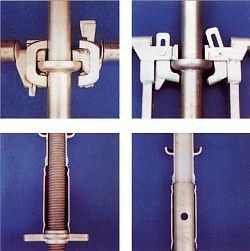 Only five main components are required for basic use and the only erection tools required are a hammer and level. The system’s optimum design offers a high load rating and extreme rigidity, keeping your workers secure and productive. Used on bridges and similar steel structures, the Modular Scaffolding System complements the Safespan® Multi-Span Bridge Platform System that Safespan originated and manufactures. 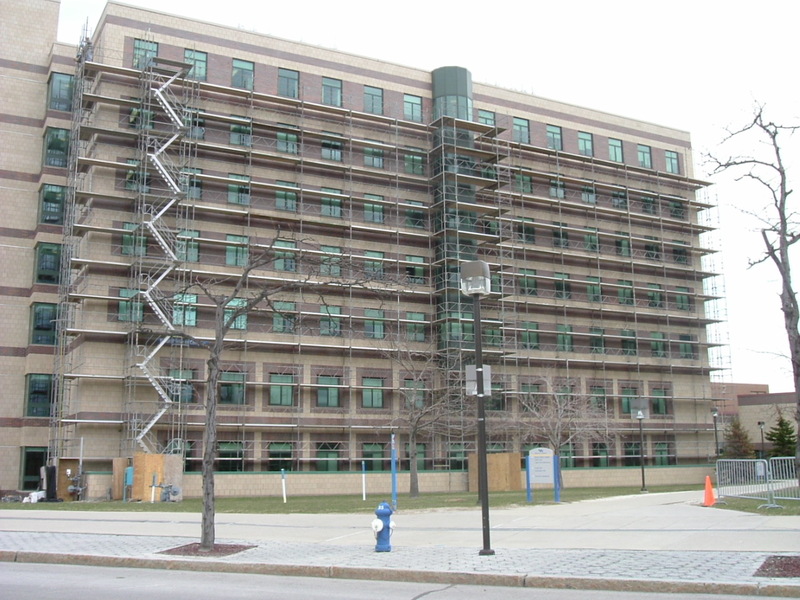 It can provide easy access to vertical surfaces for painting and rehabilitation. And, like Safespan’s platform product, it installs, deploys and is removable quickly and easily. 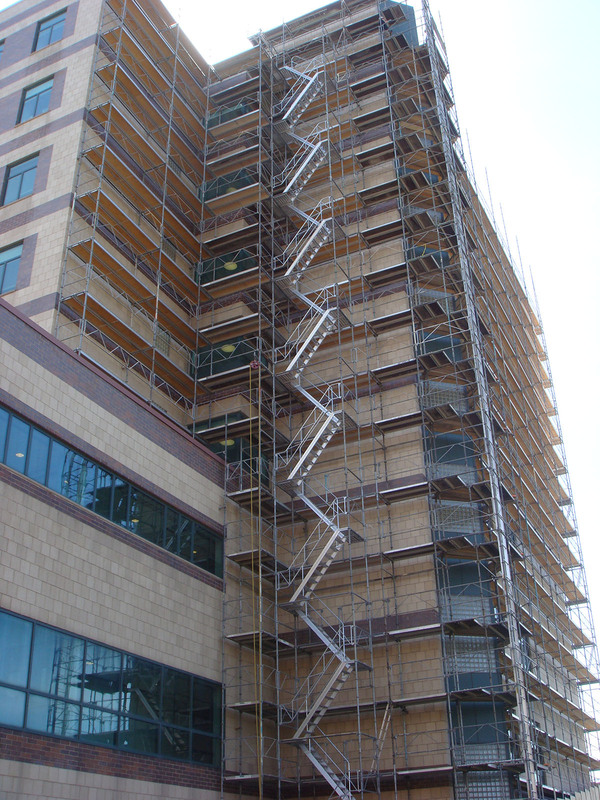 This extraordinary scaffolding product is available for lease from Safespan, with installation by either by your crew or by ours on a turnkey basis.